It's a funny old time of year isn't it? Keeping trees indoors and covering them in lights. That's funny when you think about it. Anyway, lots of comedians think so too — and they're keen to give you the gift of Christmas comedy gold. So blow your last-minute Christmas shopping budget on these shows, spend December having a good old laugh, and ensure everyone you cherish gets less-than-satisfactory presents this year. Not many things more Christmassy than, panto are there? Oh no there isn't… etc. This one's for adults though, which means it'll be infinitely better as there won't be loads of horrible little children stealing all the sweets if they throw them into the crowds. Expect cutting jokes about the state of modern dating, which will make you feel much better when your grandparents ask loaded questions about why you're still single round the dinner table. 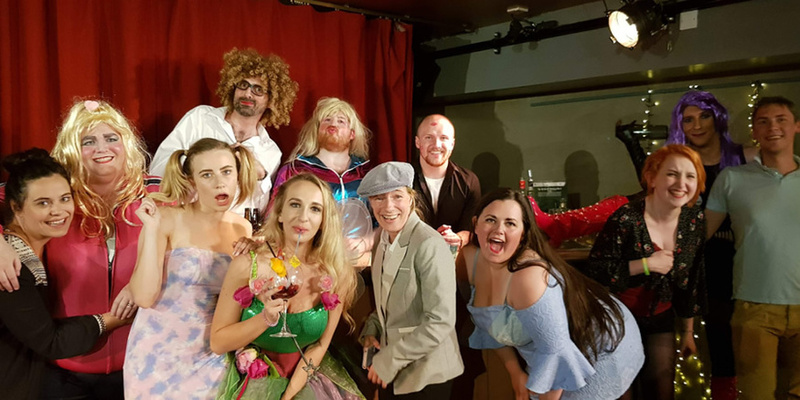 Tinderella, Canal Cafe Theatre, 5 December 2018, from £12. 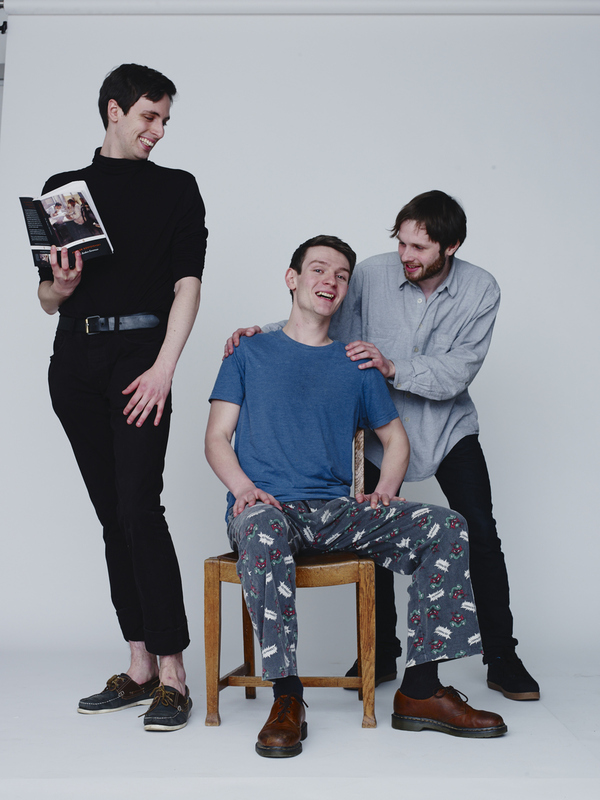 Sheeps are the critically-acclaimed sketch group formed of Liam Williams (BBC 3's Pls Like), Alastair Roberts and Daran Johnson. They write sketches wrapped in irony and silliness in equal parts, and they like to go a bit meta at times. This festive bash, running across two nights, promises five-star comedy gold (not sure about the frankincense and myrrh) plus "traditional yuletide fare of hot wine and heggy". And if that sweet, sweet heggy is not enough for you, special guests include Emma Sidi, Lolly Adefope, Jamie Demetrieu and The Pin. Sheeps Festive Bash, Moth Club, 10 and 11 December, £20. 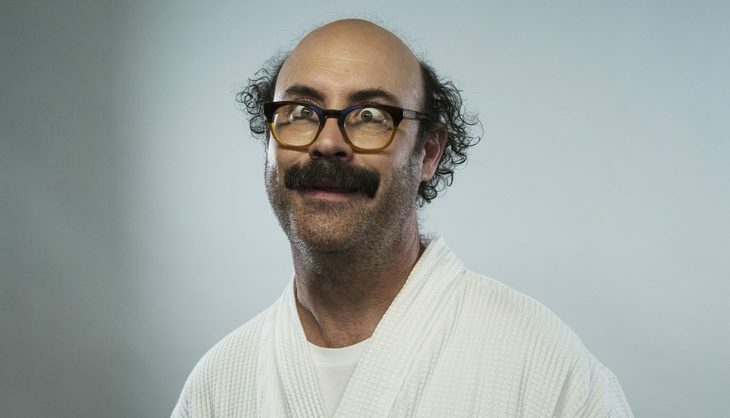 Sam Simmons is properly weird. He's undertaken a one-man-war against serious comedy and does things like sporting deer-hooves for hands. So, yes, he's weird, but don’t let that put you off because he's doing it very well, winning awards along the way. The description for new festive show Away in a Stranger is barely comprehensible, filled with references to the birth of baby Greg, wrapping biros in sausage meat, and giving boiled eggs to bus drivers. Absolutely beautiful nonsense. Sam Simmons Away in a Stranger, Soho Theatre, 10 December 2018-5 January 2019, prices start at £11. Al Murray's that pub landlord isn't he? Runs a pub, shouts a lot… You know the one. Anyway, he's celebrating the holidays by putting on 12 Days of Christmas themed shows — all promising to be raucous evenings. A chance you can't pass up to share a few Christmas pints with a man who "genuinely wears five gold rings all year round". 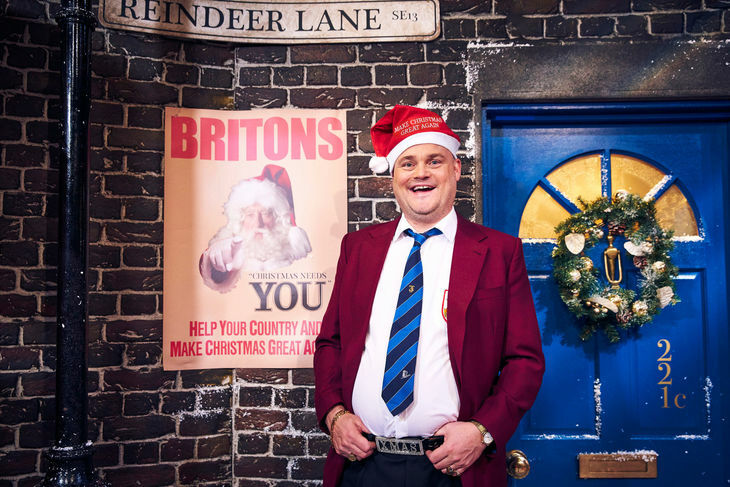 Al Murray Presents the 12 Days of Christmas, Leicester Square Theatre, 11-23 December, £28.75. 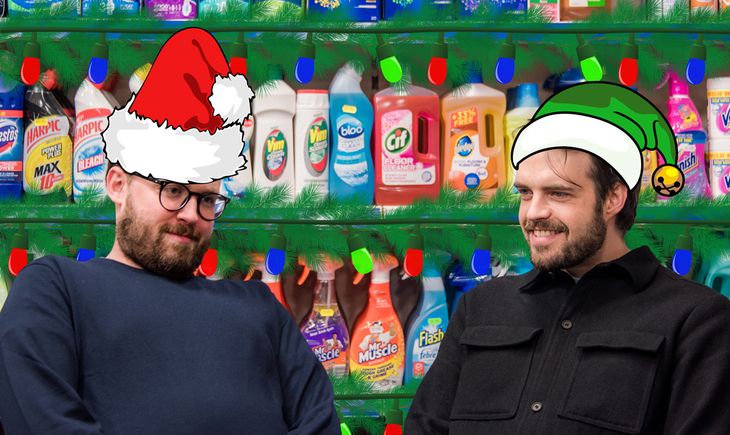 Celebrated alternative comedians John Kearns and Pat Cahill come together for two special yuletide evenings of festive chat, merry songs and dances. The lifelong friends are sure to take an intriguing sideways look at the festive period, alongside guest comedians, (one of which is the lugubrious Nick Helm) "doing whatever the hell they want". 110% John Kearns and Pat Cahill: The Christmas Specials, Battersea Arts Centre, 19-20 December, £12.50.